Plantation Design, Upscale shop for modern-classic home furnishings, decor & lighting plus design & custom services. Black & Gold, A beautifully curated space of vintage furnishings, lighting, home accessories and art. As always Glass is also available directly from Jason. If you don’t see what you are looking for in his online shop then please reach out via the contact form or give Jason a phone call. He may be able to make your glass to order in time for Christmas. Presenting Jason’s glasswork is always a challenge. We want to do it justice, make sure it sparkles and shows it’s best side. But not having our own studio we pack the glass treasures in and out of boxes, and each time we work on promotional photography it is a big deal to get everything we need in one place. But presentation is important. This is not a place to cut corners. Can you do it yourself!? YES you can. Is it incredibly helpful to delegate and focus everybody’s attention and time in a way that they do what they are best at: I don’t even need to ask, right!? Perseverance. Sometimes getting the right photo can take a lot of shots and even multiple session tries. Then learning to do the photo editing, how to use software, which software to even use: all that takes perseverance. 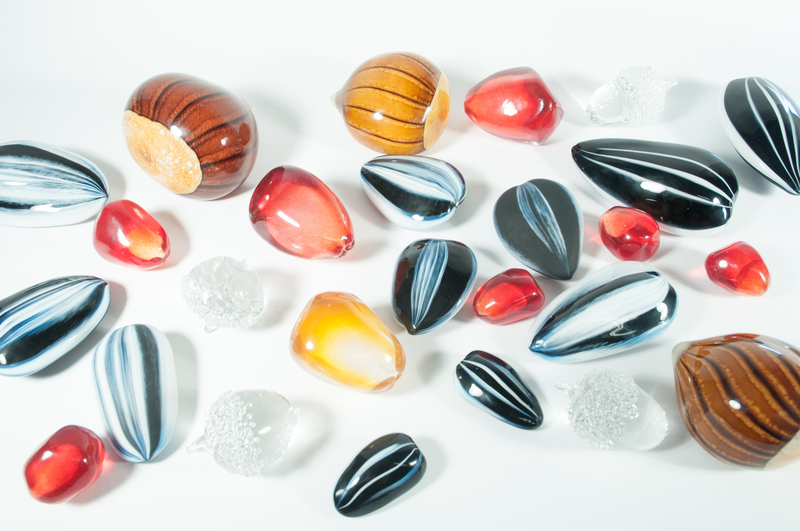 But it is worth it to honour and treasure the glass creations. Yesterday we realised that we had misplaced the original edit of the image below, but we urgently need a specific file size of it. We have used this image on Jason’s business cards and now need it at a specific size for a residency application. So of course it needed editing immediately tonight, from the original file format, all over again. After an hour it looked like it does in image #1. I had touched up to reduce some odd reflections and a couple of too obvious fingerprints (what were we thinking not wearing gloves when photographing!!!) We were reasonably pleased but I just wasn’t sure it was all it could be. It looks a bit flat and the white was refusing to be white and it just had a bit of the ‘meh’ quality about it… I could have just leant right into the contrast, and thrown my weight around the curves but it didn’t feel like that would be enough by itself..
Fast forward another 2 or so hours, it is now 1:30am in the morning. Way too late, as I have other things to attend to besides Jason’s glassblowing career (i.e. my own career / an early morning language class to teach) but honestly I couldn’t leave it as it was before. It just didn’t look fresh enough! And Jason is such a hardworking and talented glassmaker, he needs better than average effort from me! So.. I wrestled 2 photo editing softwares, created layers in Photoshop Elements; and with a combination of Lightroom > Photoshop Elements and back into Lightroom the end result is a fresh, fantastic, clear and exciting image that I have now saved in 3 different file sizes for Jason. We are now prepared for all eventualities! Don’t you agree that this is now a tasty eye candy, colour popping photograph of Jason Stopko’s Glass ?! I know there is still room for a little more subtlety in the image but it is 1:30am.. there is no time to work on subtlety. But in the future I will try out working with more than 2 layers in photoshop and fine tune my overall approach with more thought before action.. If anybody would like to know how this was done let us know. I can add a description of the photo editing workflow for you to follow. Signing off duty until the next time, Birgit Deubner. The woman for everything that is not glass in this little business of ours. Good luck with your application Jason! Just a super quick note to say that we just noticed that it isn’t immediately clear that Jason’s Date Night Glassblowing classes cost $345 and that the price is for 2 participants! We just checked the Glassblowing Class tab on Jason’s website and it leads (as it should) to a booking calendar however doesn’t show until 2 clicks later that the price is $345 (which incidentally is a great value price, you will understand it when you arrive at the studio!) and then the booking form makes it appear like the price is for only 1 participant. While in fact $345 covers 2 participant for a glassblowing class with the one and only, amazing glassblowing instructor: Jason Stropko! 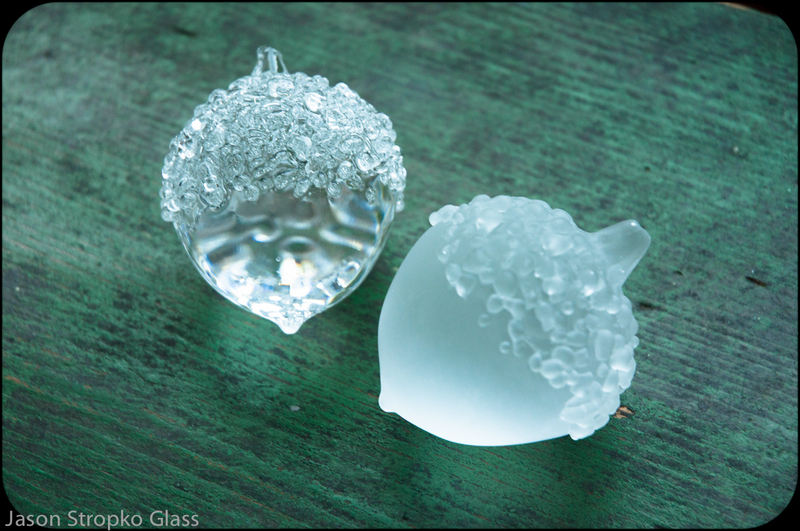 Below are pictures of Jason’s glassblowing classes, some students in the studio and some student work as well as some of Jason’s wonderful work!